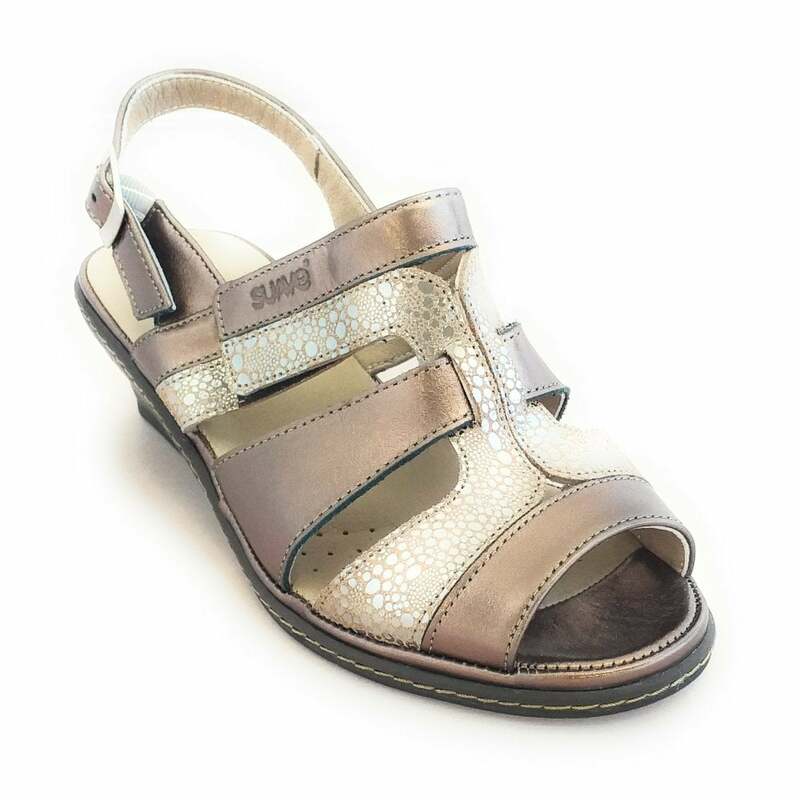 This Suave bronze metallic leather sandals offers maximum adjustment with its sling back strap and velcro strap over the foot. 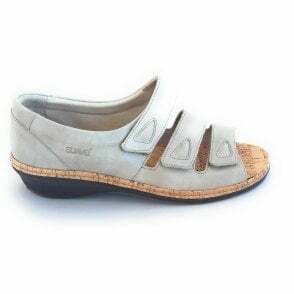 The cushioned leather foot-bed provides all day blissful comfort. 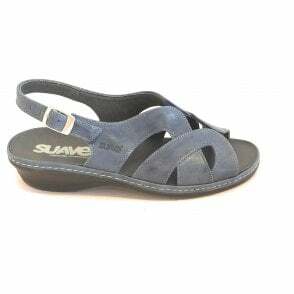 Wear this versatile sandal with anything from trousers to dresses.